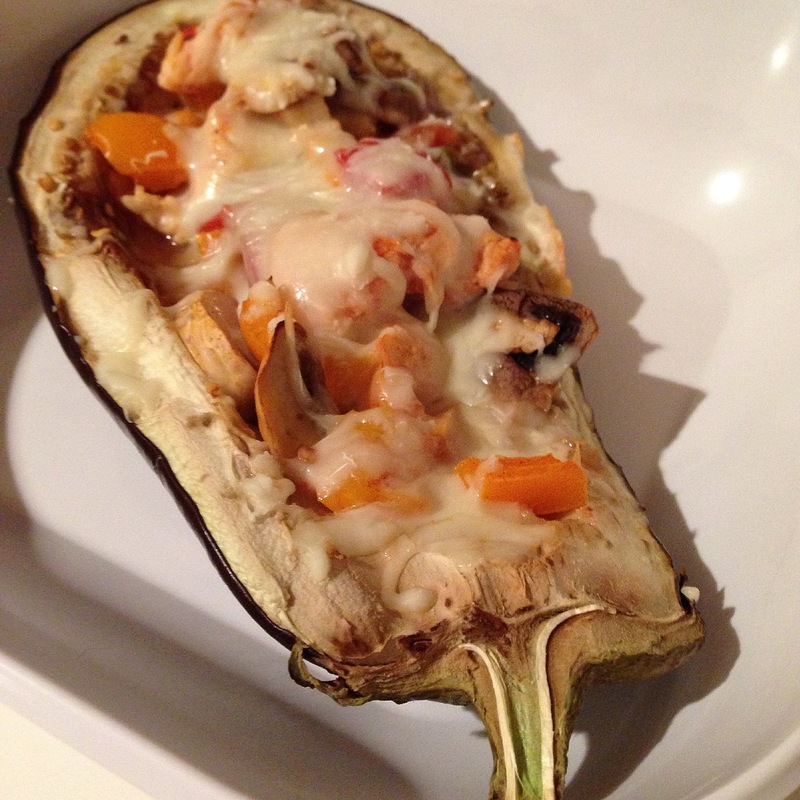 Stuffed eggplant boats= life changing. Personally, you could probably put cheese and tomatoes on anything and I would love it. These were super delicious and extremely filling (like most of my meals). One boat is a meal on its own. This also did not take long to prep. Admittedly, I thought it would take forever which is why I have avoided trying to make these for so long. It probably took me about 10-15 minutes to prep and 25 minutes to cook! Other options are to use the extra eggplant with the veggies. I just decided to mix things up and save the eggplant for a side the next day! This entry was posted in Lifestyle, What's On the Menu and tagged comfort food, eggplant, healthy, italian. Bookmark the permalink.